This week’s Community news includes a donation to the Red Cross and a gift of 500 bags of home care items for Meals on Wheels. 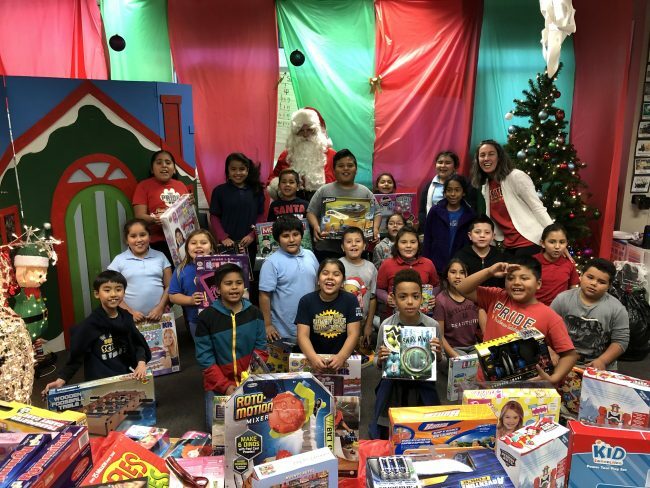 The $1.5 billion Credit Union of South California in Anaheim, Calif., treat students, faculty and staff from Ponderosa Elementary School in Anaheim to gifts and lunch during Credit Union of Southern California’s Santa’s School Takeover on Dec. 13. The credit union provided a total of $18,000 worth of gifts and gift cards via its non-profit charity organization, Helping Hands, at the special event. To prepare for the event, 55 of Santa’s CU SoCal “elves” (team members) went out and shopped for the 1,200 gifts. Dozens of CU SoCal elves arrived the night before to transform an ordinary classroom into a Santa’s workshop. Toys of all shapes and sizes were displayed on tables, grouped by specific age groups.